Robert Bosch founded the "Workshop for Precision Mechanics and Electrical Engineering" which was started in Stuttgart. In the year 1886, Robert Bosch founded the "Workshop for Precision Mechanics and Electrical Engineering" which was started in Stuttgart. This was the birth of today's globally active Robert Bosch GmbH. From the very beginning of the inception of the company, the company's history has been characterized by innovative drive and social commitment. 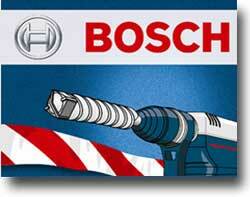 Bosch had stepped into India in the year 1922, when the Illies Company setup a sales office at Calcutta. In India, Bosch set up its manufacturing operation in the year 1953, which has grown over the years to which then included 10 manufacturing sites and 7 development and application centers. As a leading technology and services company, it takes advantage of its global opportunities for strong and meaningful development. Its ambition is to enhance the quality of life with solutions that are both innovative and beneficial. Bosch focusses on its core competencies in automotive and industrial technologies as well as in products and services for professional and private use. In Corporate Research, its highly specialized team associates all over the world work on technological breakthroughs in fields such as software development, robotics, or engine management. In this way, new ideas are constantly taking shape that make existing products even more efficient, more comfortable, safer, and more environment-friendly, while also opening up entirely new lines of business. Its primary concern is to improve quality of life.